OLD PARKED CARS. : 1977 Volkswagen Dasher Hatchback. Ha! I've been sittin on photos of this for a couple months. But great colors here. What an interesting shape! It's like a lower, sportier golf, or a more upright scirocco. You don't see these too much anymore. Too bad. Those bumpers remind me of the 1st-Gen celica's, though I think they probably just came off some other 70s-bumpered vehicle.at least they look effective if no sightly. Almost certainly original bumpers with dealer accessory or aftermaket bumper guards. A lot of 5 MPH bumbers looked like afterthoughts. 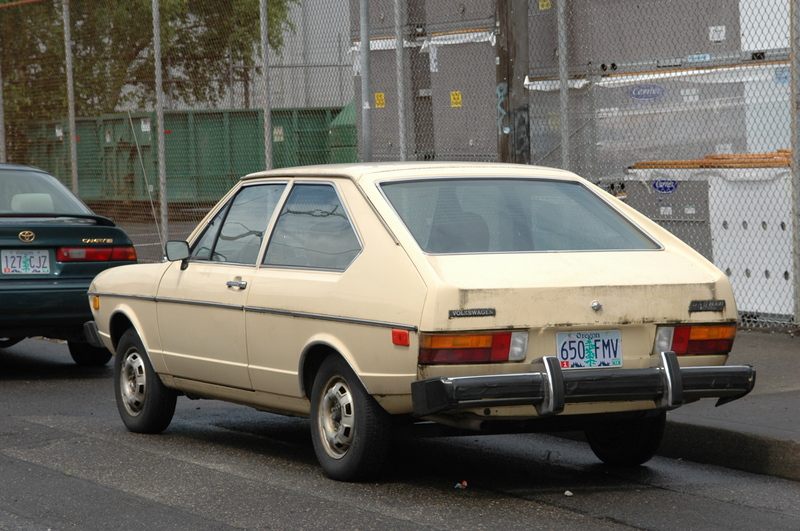 Google some pics of a us spec Fiat X1/9 for a good example of unfortunate bumperage.. Absolutely awesome find. A bone stock Dasher hatch in total survivor condition. Love it! Original bumpers for US model,yes. 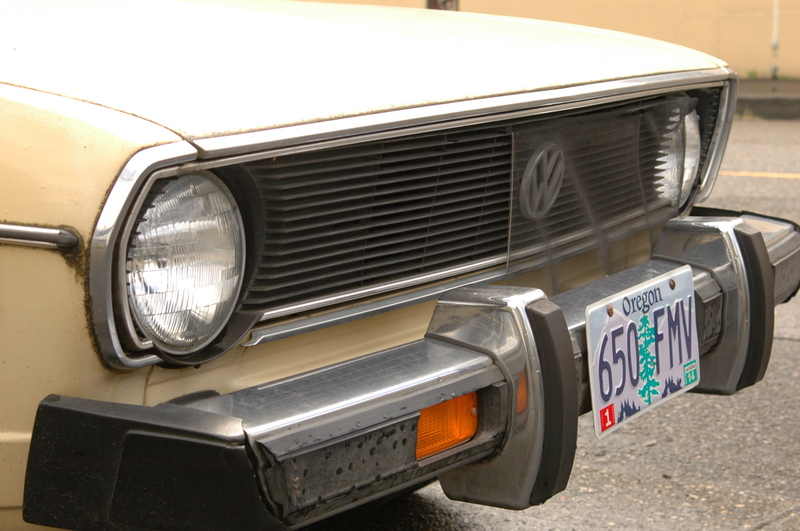 VW wasn't the only one who had horrendous bumpers at time, just quick hack to satisfy new regulations. Very nice with US bumpers! Here in Brazil, this is VW Passat. 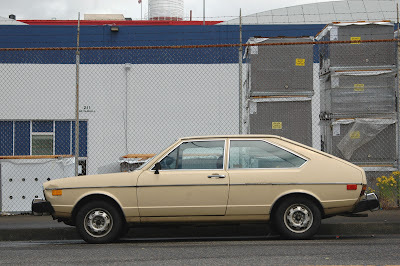 I had a '77 4 door, same Dakota Beige. Those are original style bumpers and wheels, the car looks to be missing only the wheel covers ("hubcaps"). 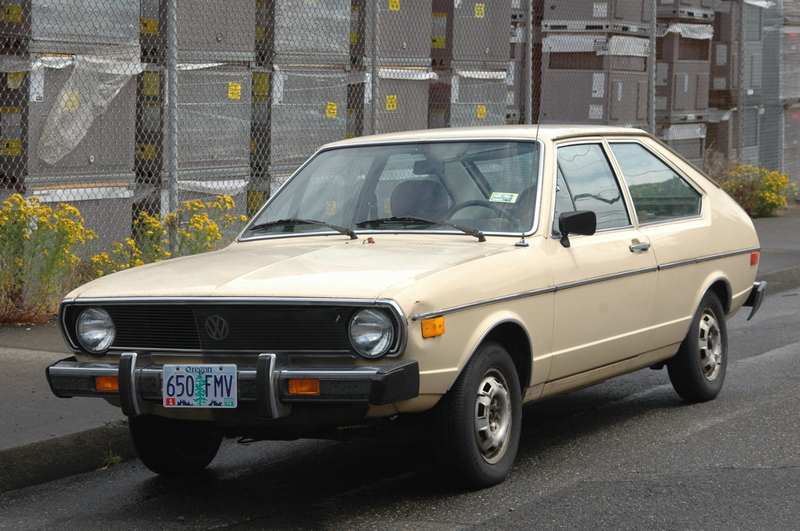 I am the owner of this vehicle and I want you to know it is a 1977 model. 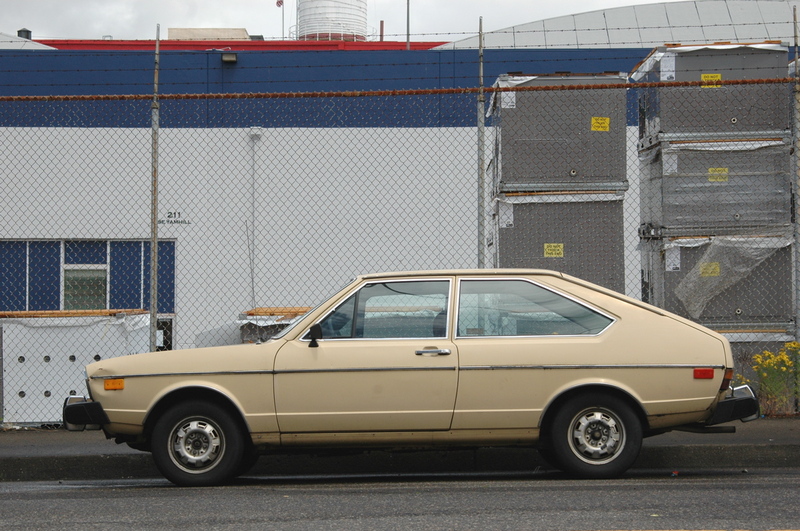 You could have identified that by its Fuel Injection label at the hatch, which means it could only be 1976 or later. Thank you so much, Sean. I've updated the post title.